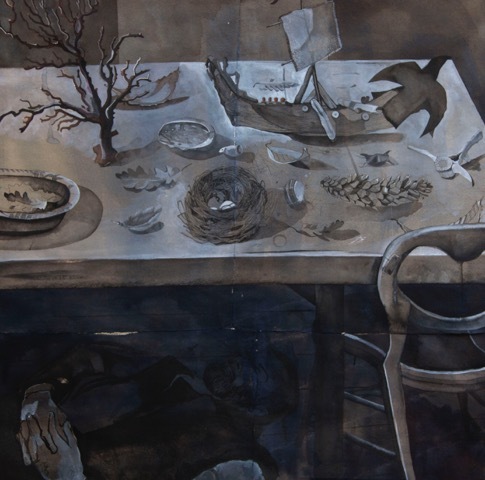 These are powerful works that draw the viewer in. The subject matter is the foreshore along the Thames where land and water join. 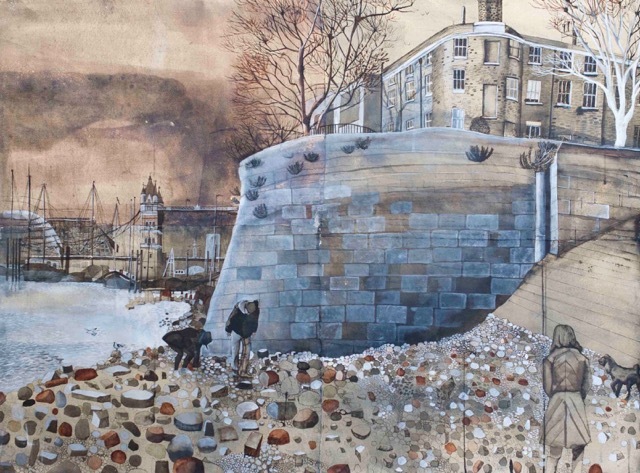 In some, although peopled with figures searching to find artefacts that have been revealed or deposited by the river’s tides, it is the river and the buildings alongside it that take centre stage in these highly individual mixed media works that are often large paper collages. This entry was posted in British Paintings, Contemporary Art, Fine Art, Visual Arts, Works of Art, Works on Paper and tagged contemporary art, European Art, Fine art, Visual Arts.